Did Christine Taylor Take Abortion into Her Own Hands? NEW YORK (CBS) Pregnant twenty-two-year-old Christine Taylor will not be charged with the crime of attempted feticide after falling down a flight of stairs in her Burlington, Iowa home, reports the Des Moines Register. But Taylor's arrest for the incident had put her at the center of a heated debate: can a mother be put on trial for harming her own fetus? Everyone agrees on the following: last month, following an argument with her husband, Christine Taylor fell down a set of stairs in her home outside of Des Moines. Following the fall, she visited the emergency room. While there she said something to medical personnel that they believed meant she had intended to harm the fetus with the fall. The police arrived and interrogated her, and Johnson was arrested and jailed. Exactly what Christine Taylor told hospital workers is up for debate. Johnson, a mother of two children, says that she was emotional, but denied to the Des Moines Register that she said she "didn't want her baby." Initial police reports, according to the Iowa Hawk Eye, say that "Taylor told police she intentionally fell down stairs at her home because she wanted to end the pregnancy." Whatever Taylor said or didn't say has been rendered moot, however, because charges of feticide in Iowa are only applicable in the third trimester. Taylor's pregnancy was in its second trimester when the fall occurred. That apparently means that issues of patient confidentiality, fetal rights, women's rights and everything in between can all be ignored for the time being. But at least one other state is eyeing the issue. In Utah, a controversial bill is being pushed that would criminalize a mother's effort to seek an illegal abortion and might put a woman like Christine Taylor behind bars. WHAT DO YOU THINK? 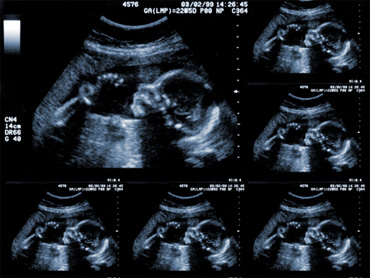 Should pregnant women be prosecuted for hurting their unborn fetuses?